In mid-June the U.N. wrapped up a two-week, 190-country climate change conference in Bonn, Germany, but not without having made notable progress on an agreement that would compensate developing nations who agree to preserve their forests. The initiative – called Reducing Emissions from Deforestation and Forest Degradation, or REDD+ – is the result of about a decade of discussion on how to cut deforestation in developing nations as a means of reducing climate change. According to the U.N., deforestation is a major contributor to climate change – resulting in nearly 20 percent of global emissions through agricultural expansion, conversion to pastureland, infrastructure development, destructive logging and fires. These activities account for more greenhouse gas emissions than global transportation. REDD+ is an international effort to give monetary value to carbon stored in forests, but although it’s aim is to decrease deforestation, the logistics of its implementation are concerning to many indigenous groups. 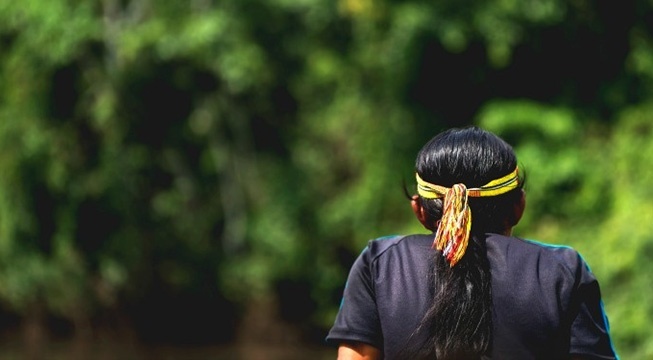 As it stands, the conversation surrounding REDD+ is primarily one between national governments and large corporations without the inclusion of the indigenous people that call the forests their home. This is troubling to indigenous people and groups like the Indigenous Environmental Network because omitting the local voices from the conversation leaves them vulnerable to governments bargaining away their rights and freedoms and not equitably sharing the revenues. By not consulting with the owners and users of the forests, governments are arguably putting money ahead of a just implementation of REDD+. If the employment of REDD+ can be done in a way that is considerate and respectful of the indigenous and their right to the land, it has the possibility of providing an immense amount of protection to forests within developing countries around the globe – including Ecuador. Many knowledgeable about Ecuador are familiar with the Yasuní-ITT Initiative. The Initiative was disbanded by President Correa in 2013 but entailed asking the international community to pay Ecuador half the estimated value of the oil under the Ishpingo-Tambococha-Tiputini (ITT) Block, located in Yasuní National Park. This Initiative is distinctly different from REDD+ because its focus was on receiving funds in lieu of allowing oil development, as opposed to a program that centers on carbon credits. Although the fundamental prerogative of these programs was different, they would both have the potential to stop deforestation. And the impact that the Yasuní-ITT Initiative could have had only sheds light on the potential of REDD+. Unlike the Yasuní-ITT Initiative that focused on an area of about 200,000 acres, REDD+ could in theory protect all of Ecuador’s rainforests, including the 3.5 million hectares where the Pachamama Alliance focuses its attention. Scientific studies have shown that if the Yasuní-ITT Initiative would have prevailed it could have prevented 800 million metric tons of CO2 from avoided deforestation, and helped to preserve some of the richest biodiversity on Earth. That substantial impact from protecting 200,000 hectares of rainforest underscores the massive impact that REDD+ could have if it were implemented on a global scale – assuming the indigenous people are consulted early and can give consent to the projects. Currently 30 percent of the world’s land is covered by forests; and tropical forests are absorbing not only 25 percent of terrestrial carbon, but also 15 percent of our emissions as well. By continuing to allow deforestation, trees are transformed from a source of mitigation to a source of emission – and REDD+ could curb that. The program's ultimate goal is to ensure that trees are more valuable standing up than they are cut down in order to protect the lungs of the Earth—both in Ecuador and across the globe. But that initiative should not be realized at the cost of indigenous peoples’ rights and use of their own land. The Pachamama Alliance continually advocates for the empowerment of indigenous people within the Amazon rainforest to preserve their lands and culture and ensure a thriving future for the planet. Indigenous people are the source of a worldview and cosmology that can provide powerful guidance and teachings for achieving our vision of a thriving, just and sustainable world. Get Pachamama Alliance news, events, and resources in order to stay informed on the progress being made by our initiatives in South America as well as opportunities to experience our programs and upcoming events. Photo credit: Flickr user Jared Sternberg.